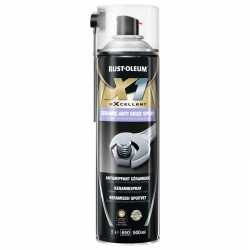 This category focuses on heat resistant metal paints that have been designed by manufacturers including Rust-Oleum, Jotun, Teamac, and Blackfriar, for use on automotive parts, such as exhausts. Mechanics, vintage car enthusiasts, and related customers require coatings that leave an 'as new' finish that is both protective and decorative. Many of the products come in a range of colours and shades, including silver, yellow, black and red, offering both heat and light reflective properties. Available in spray, roller or brush application, for extreme ease of use, these heat resistant paints for use on high-heat areas on cars, motorbikes, trucks, lorries, forklift trucks and other automotive vehicles, are available for next day delivery across most of the UK. For more information about these, or other products for use on automotive vehicles, contact a member of Rawlins Paints' Technical Support Team on 0113 245 5450. 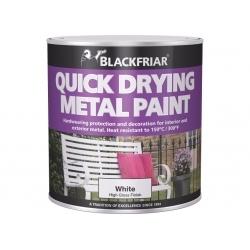 Blackfriar Aluminium Paint is heat resistant up to 150ºC and provides long-lasting, heat-resistant protection for interior and exterior surfaces, for use on metal and wood, on surfaces including car wheels, gates, railings, pipework etc. 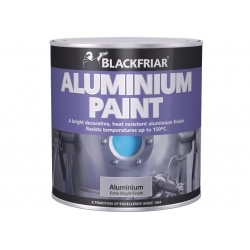 Teamac Extra Brilliant Aluminium Paint is an all metal coating with thermal and photo reflective properties that can be used as a heat and light reflective protective finish on car wheels, hot water pipes, radiators, metal car components. It provides heat resistance up to 150°C. A ceramic based grease, capable of withstanding extreme pressures and temperatures. 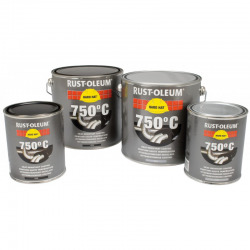 This Ceramic technology by Rust-Oleum leaves an inert barrier of microscopic platelets long after the grease fails due to high temperatures. It provides with an ultra-thin film, giving lasting lubrication and protection. 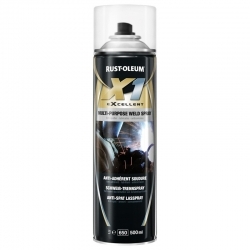 A high quality technical spray manufactured by Rust-Oleum that effectively prevents the adhesion of weld spatter to metal surfaces. It protects welded materials from corrosion.